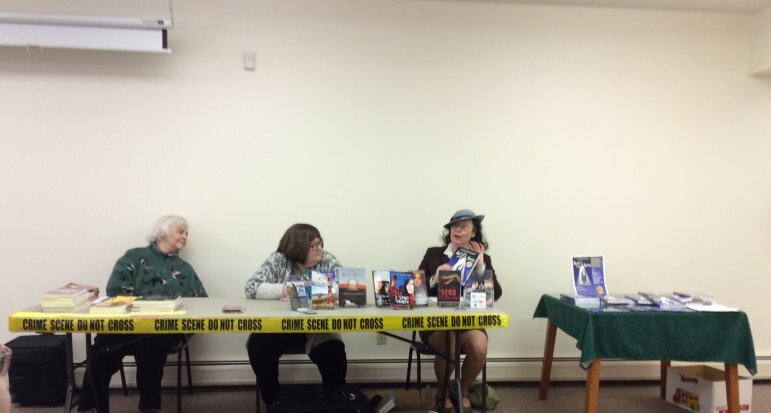 I was fortunate to be on two panels last week to talk about writing. The first was sponsored by the Worcester Women’s History Project, a wonderful group that provides great programs to teach us about the history of women in and around Worcester in all facets of life. Check out their web site for some of the intriguing lectures, films, gatherings, etc. that they hold. My panel was called Women in Print, and I was on the bill with Thea Aschkenase, and Stacy Amaral. 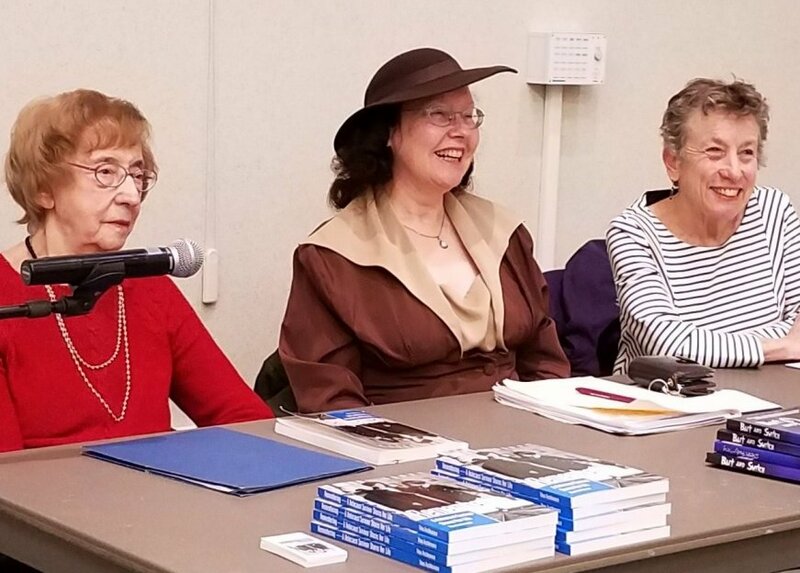 Thea spoke on her memoir as a survivor of Nazi persecutions and life in a concentration camp, while Stacy shared with us on the rich blend voices singing from various immigrant ethnic communities in her book of interviews with Worcester citizens. I’m afraid, I was a bit humbled by their inspiring topics, but I think I could speak to the inspiration of earlier generations, on film and in real life, for people to open their minds and hearts. I was happy to pay special tribute to my parents, who taught me not only responsibility and respect for others, but to follow my dreams. And, yes, Yang did make the dress I’m wearing! 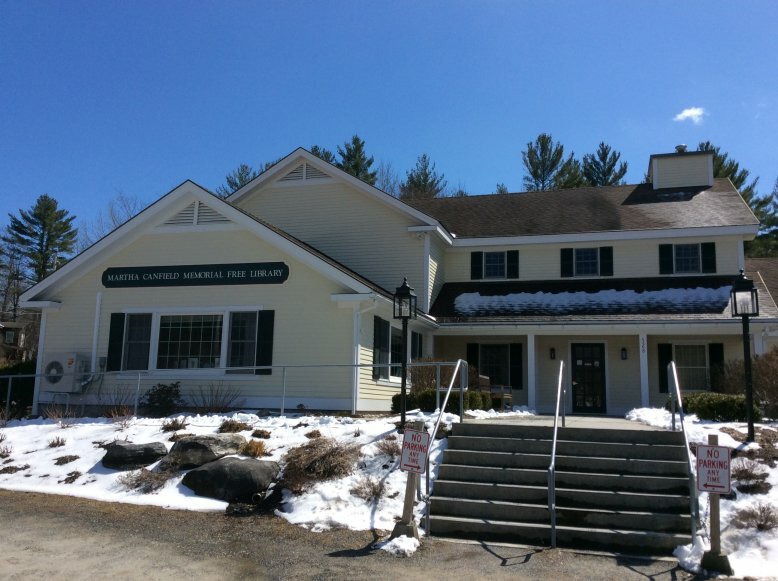 On Sunday, we took a lovely drive up to Arlington Vermont for me to join the Sisters in Crime New England panel, “The Modern Heroine.” The Martha Canfield Library is a lovely, cozy place, nestled in a valley and surrounded by beautiful Vermont mountains struggling toward green as the weather warms. As you can see, we still had some snow! 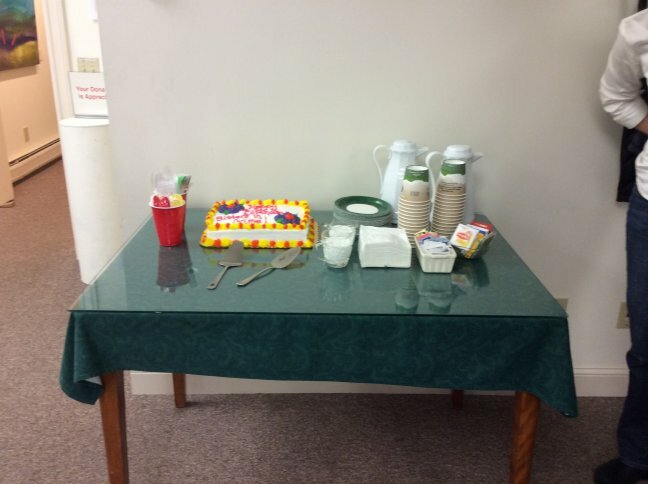 The people at the library welcomed us and even provided a lovely cake to celebrate 30 years of Sisters in Crime. I joined forces with Ellen Berkeley Perry and Coralie Jensen. We had a wonderful group of people, of almost twenty, I think. They asked intelligent questions about writing and developing characters. Though my novel, set in the 1940s, might not have a, technically, modern heroine, I couldn’t help pointing out that the modern qualities of intelligence, wit, independence, determination, courage, and responsibility were strong, not only in the films of Joan Bennett, Bette Davis, Rosalind Russell, and others but in the real, rather than reel, lives of women who worked in factories and offices, raised children, nursed on the battlefield, or ferried planes. 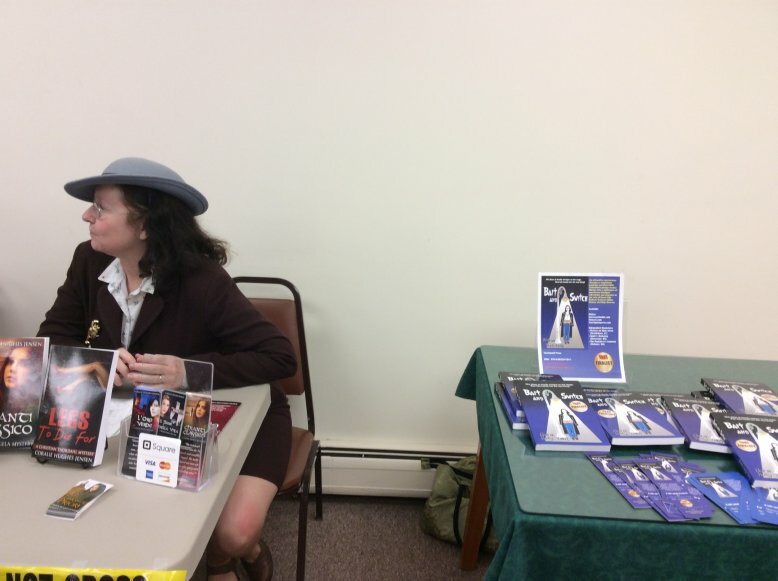 It was a fun experience – and I even sold some books!